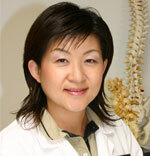 Dr. Miwa Yoshida is a December, 1999 graduate of Los Angeles College of Chiropractic. She is also a 1990 graduate of Meiji College of Oriental Medicine with her BA in acupuncture and moxibustion. She will be sitting for the California Board of Acupuncture examination this August 2009 to obtain her license to practice acupuncture along with chiropractic in California. Dr. Yoshida specializes in Women’s and Children’s health and also has extensive postgraduate training in rehabilitation and sports related injuries. She places emphasis in practice on exercise, nutrition and supplements. 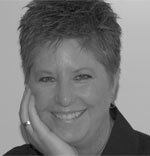 Gina Haber is an Acupuncturist and Certified QRA (Quantum Reflex Analysis) practitioner. 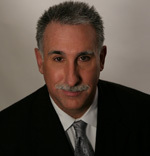 * She specializes in musculoskeletal disorders and difficult-to-diagnose-and-treat conditions. 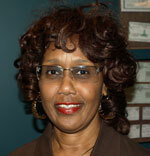 She is Board Certified by the National Board of Acupuncture Orthopedics. 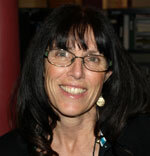 Gina has been a Pasadena resident for the past 15 years, in private practice here for the last seven. In addition to practicing Traditional Chinese Medicine, Gina is also trained in several energy psychology techniques including NET, EFT, BSFF, TAT, Psych-K, ZPoint Processing, Zensight, Matrix Energetics, Reconnective Healing, QRA and Quantum Touch. These techniques produce impressive results in treating pain, trauma, allergies, limiting beliefs, weight issues and more. 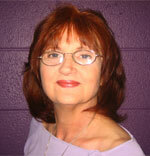 Gina’s practice includes massage; nutrition, including QRA testing; and various needle-less treatment modalities. *QRA (Quantum Reflex Analysis) accurately and efficiently identifies — through University tested and proven muscle testing — exactly what is wrong with the body and exactly what it will take to correct it, through nutritional and nutraceutical means. It is truly Quantum Level Healing, the medicine of the 21st Century.